Few vehicles could offer Goshen and Monroe drivers more than the 2016 Honda Accord Sedan, and the 2015 Volkswagen Passat is certainly no exception. 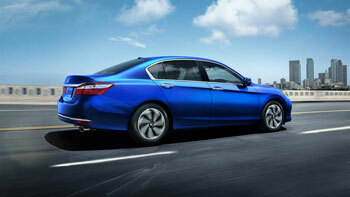 The new Accord offers a stronger list of standard features and a solid reputation for reliability that eclipses that of its competitors, so it’s no surprise that it remains one of the most popular models in the country. The 2016 Honda Accord Sedan is available for Goshen and Monroe drivers in six separate trim levels. LX: The LX offers premium technology as standard, including a multi-angle rearview camera with guidelines for confident reversing, a Bluetooth HandsFreeLink system to keep you connected, and daytime running lights for added safety. Sport: The Sport upgrades both power and comfort. Boasting both 19-inch alloy wheels and race-inspired paddle transmission shifters, the Sport model adds extra horsepower and torque to your drive. EX: The EX is all about cutting-edge technology, with a HomeLink remote system and the Honda LaneWatch function coming as standard, and you’ll also enjoy a one-touch power moonroof and a subscription to SiriusXM satellite radio. 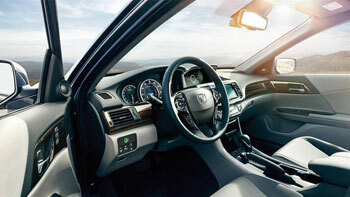 EX-L: The EX-L trim has seats in leather for a luxuriously comfortable drive during every journey. Front seats are even heated for added relaxation during the bitter winter months, and your steering wheel is leather-wrapped. 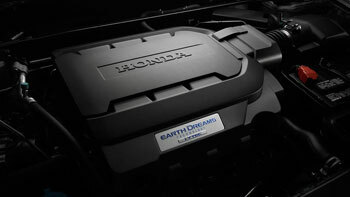 EX-L V6: Combine the first-class features of the EX-L with the thunderous output produced by a 3.5L i-VTEC V6 engine. 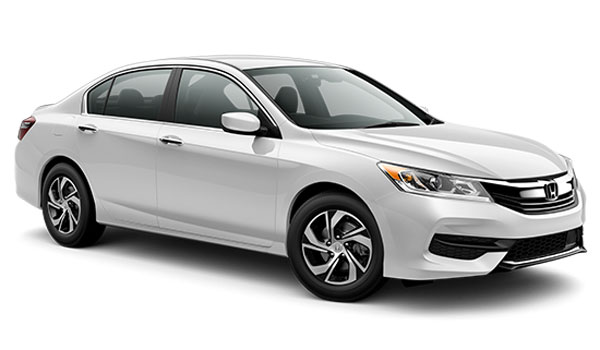 Touring: Your top-of-the-range Accord comes with a Honda satellite-linked navigation system with voice recognition as standard, as well as a whole host of Honda Sensing technologies to keep you safe. 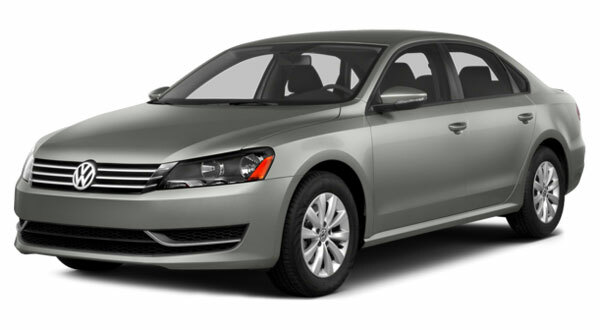 The 2015 Volkswagen Passat starts with the S model, which offers 16-inch steel wheels, air-conditioning, and a 60/40-split-folding rear seat. Models work their way right up to the SEL Premium, which boasts 18-inch wheels, a sunroof, a six-way power passenger seat, and leather upholstery. The 2015 Volkswagen Passat provides three engine choices, but none match up to Honda’s selection. The standard 1.8L four-cylinder falls behind in terms of output, with just 170 hp, as does the 150-hp 2.0L 4-cylinder diesel. The 3.6L V6 produces 280 hp – slightly more than the Accord’s V6 – but makes you pay with unimpressive efficiency ratings of just 20 mpg in the city and 28 mpg on the highway. Both trunk and cabin space is comparable between the 2016 Honda Accord Sedan and the 2015 Volkswagen Passat. 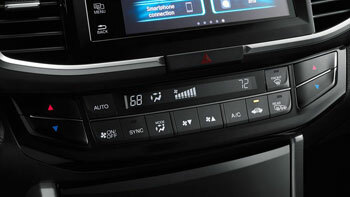 However, unlike the 2015 Passat, the 2016 Accord’s interior has benefited from a redesigned cabin. Soft-touch materials are evident throughout, and seats are deeply supportive to help you unwind after a long day. Even rear outboard seats can be warmed to make sure that everyone stays comfortable all year round. The 2015 Volkswagen Passat might offer similar internal dimensions to the 2016 Honda Accord Sedan, but it fails to fill that space with anywhere near the same level of technology.For example, a multi-angle rearview camera with dynamic guidelines comes as standard with the Accord Sedan, and offers three modes to help you back up in all environments – Normal provides the standard view, Wide lets you check for approaching vehicles, and Top-down lets you see directly below the bumper. The Passat doesn’t include a rearview camera as standard, and even the available one only offers a single view. The Accord Sedan also fits a dual-zone automatic climate control system as standard, meaning that both the front passenger and driver can control their own temperature, a feature that is only offered in upper level Passat trims. If you want a sedan with a strong range of powerful engines, a stunning list of standard features, and one of the most comfortable cabins around, the 2016 Honda Accord Sedan is your only real choice. For more information, just contact Middletown Honda today. We can’t wait to put Goshen and Monroe customers behind the wheel of this impressive vehicle.